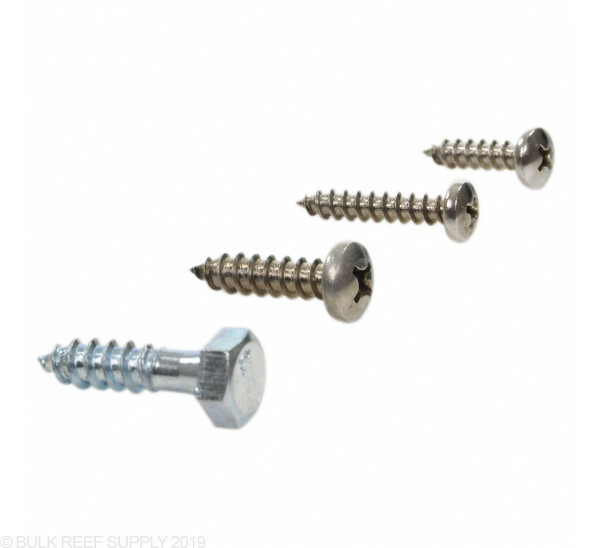 Screw for 10” RO Canisters - #10-12 x 3⁄4"
Long Screw for 10” RO Canisters (used with clips) - #10-12 x 1"
Screw for 20” RO Canisters - #14 x 1"
Bolt for 10 and 20” Big Blue RO Canisters - 5⁄16" X 1 1⁄4"
Screws and bolts for reverse osmosis systems. 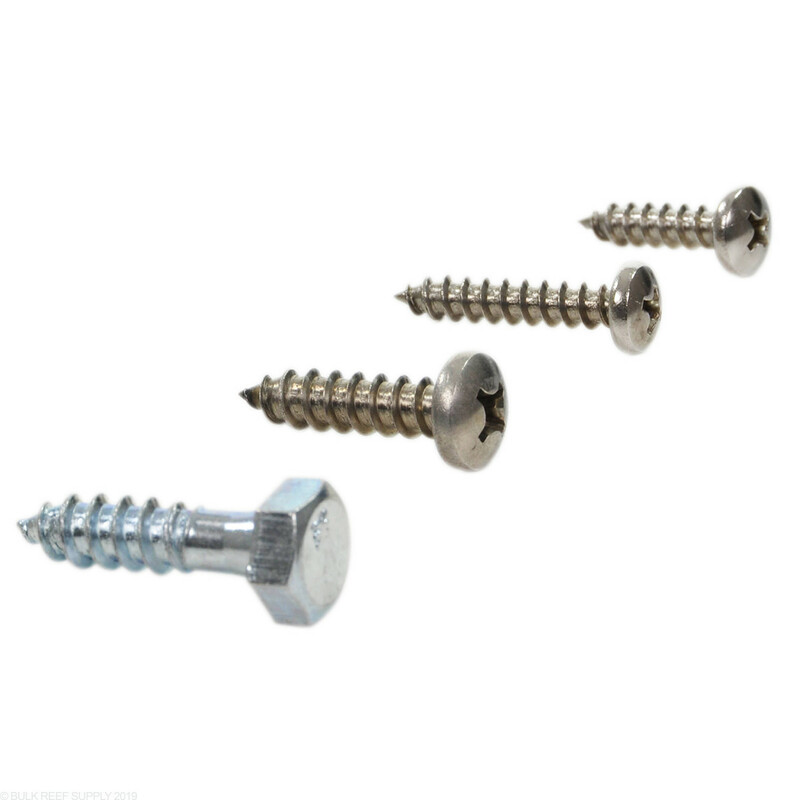 10” Standard RO Canister Screw - #10-12 x 3/4" - Standard screws are used for attaching the canisters to a metal bracket. 10” Long RO Canister Screw - #10-12 x 1" - The long screw is required for the few holes where additional brackets or clips (ex. membrane housing clips) are installed. 20” RO Canister Screw - #14 x 1" - 20” screws are used for attaching 20” RO canisters to a RO bracket. Save time looking elsewhere just buy! These screws are not your run of the mill standard panhead metal screws, they are apparently stainless steel! (this should be mentioned in the full details!). Make sure to get the proper amount for your bracket - (4) 200017 for each canister for example. Much easier to order them here, rather than drive to the big box and try to find the right ones. The last thing I'd want is a too small or long screw - dropping the canister off the bracket or puncturing the filter head itself! I added a pre-filter to my ROI system. Purchased a 10' canister & bracket. I made a mistake and did not order the SS screws to attach the top of the canister to the bracket. Could not find them at the local hardware stores. Same your time & sanity and get them with the canister.